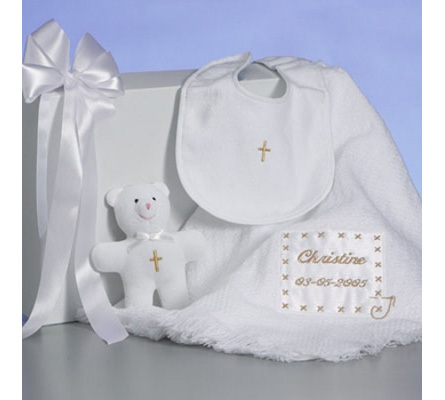 Celebrate Baby's Christening with this Personalized Baby Blanket Gift Set. 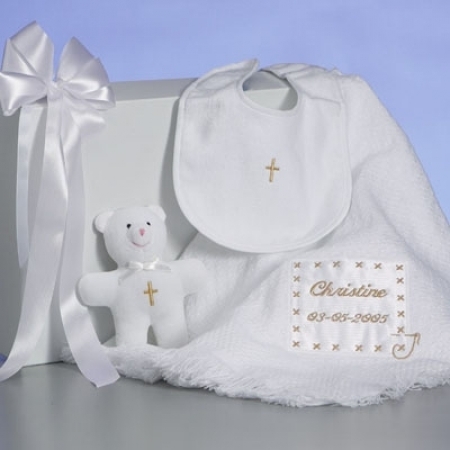 This tasteful baby gift features a pristine white knitted shawl blanket that comes beautifully personalized with baby's name and date of Christening or birth date, whichever one you choose. The embroidery is done in a two step process to give it a rich presentation. 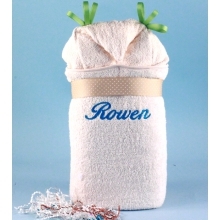 First, baby's name and date are sewn with metalic gold thread onto a white satin patch. The patch is then sewn onto the blanket with an attractive stitch and needle design. 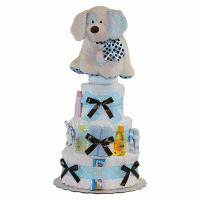 The result is a keepsake quality baby blanket that the parents will want to wrap baby in on the day of the christening and treasure forever. 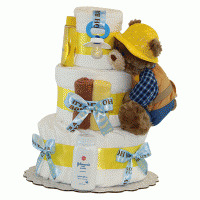 Additional items included with this gift are a terry bib and a precious little bear, both with gold cross embroidery to symbolize the big day. 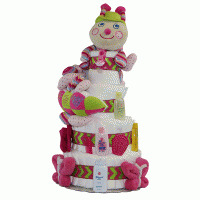 All the components are gift wrapped in a white gift box with satin ribbon.